Above scan is from the color central pages of no. 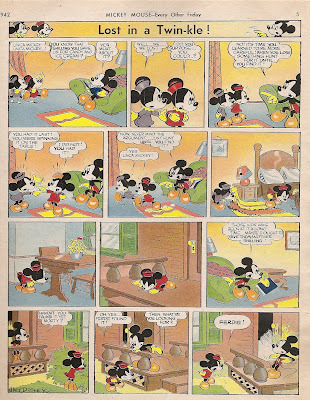 309 (dated May 9th, 1942) of Britain's Mickey Mouse magazine and features a re-formatted reprint of an American Sunday newspaper Mickey Mouse strip from Nov. 23rd, 1941. 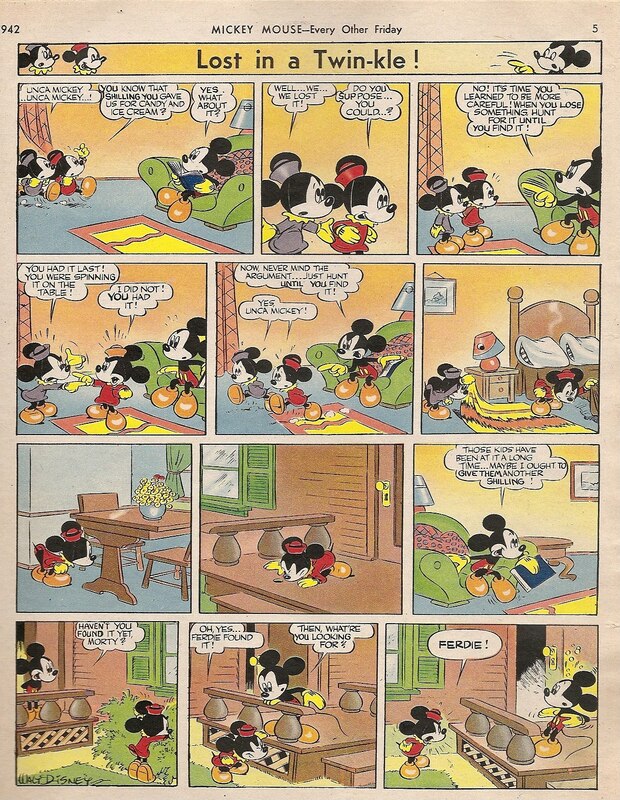 This particular Sunday strip has never been reprinted in the US after its original publication in newspapers.